Welcome to the PACC Blog Here i will discuss various goings on at the club. 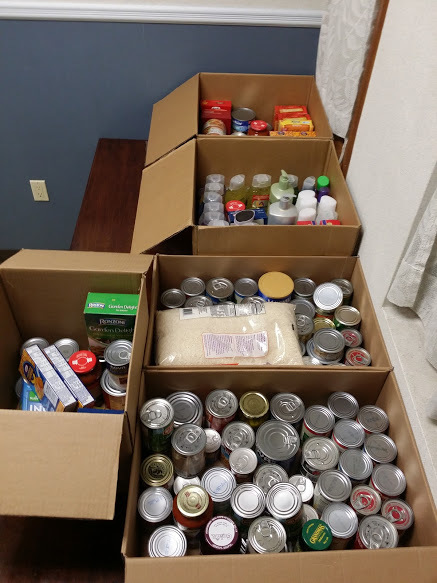 On April 23rd, 2016 we had our first Cans-4-Bands Food Drive. 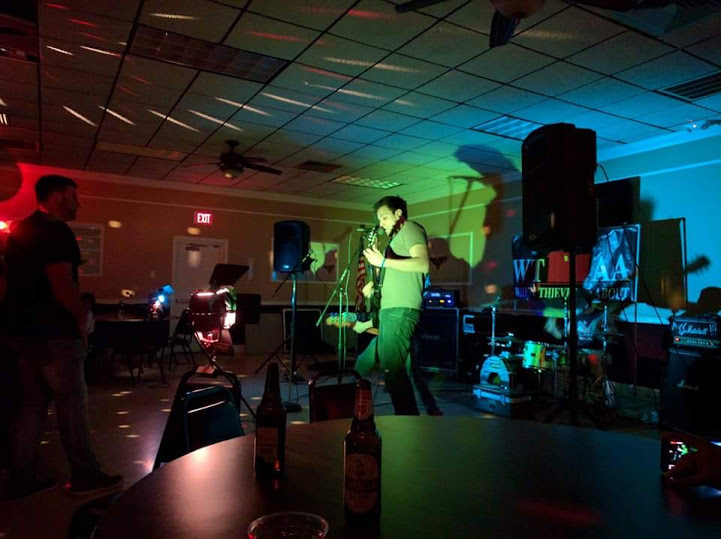 We basicly had 3 bands play in our hall and the admission to get in was a donation of non perishable foods or anything else a food pantry would need. 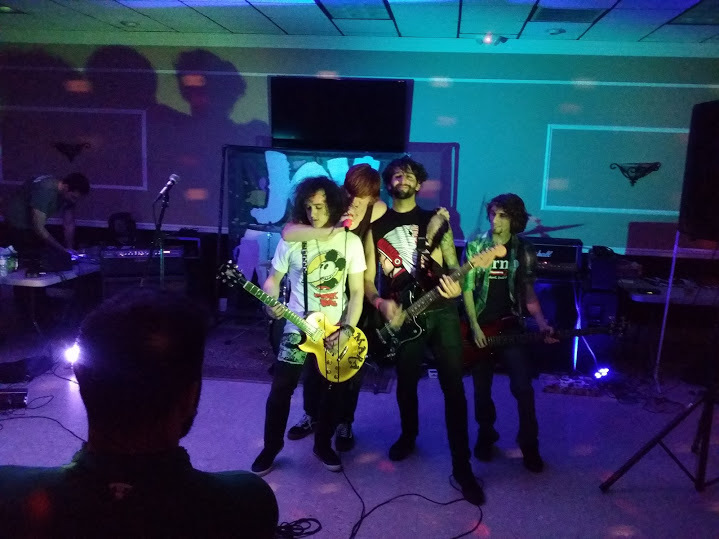 The bands that played the show are; The Davanzo Shift, Joyride, and When Thieves Are About. Also thank you to Kevin Kane who provided some equipment and help set it all up. We can't thank these guys enough for coming down and playing an amazing show. Thank you also to the bartenders and any members that came down to donate and enjoy the show. Together we were able to donate all this food to a local food pantry, We look forward to having an event like this again and we hope to see you all there. HAPPY NEW YEAR, FROM ALL OF US AT THE LPACC! We have a Great schedule of events, meetings, dances, and dart matches this year. In terms of events, this weekend alone we have 2, The Installation of Officers on Jan 10th; where the board members and executive board members get sworn into their positions for the year. And on the 11th is the venison dinner, where anybody is free to come and eat at 1pm, but will be a cash bar. Every month there will be a general member meeting and Board Meeting, and Members are encouraged to come to both to hear about the goings on of the Club and to be the first to hear about any new events that can pop on to the calendar. The first general meeting of this year is Jan. 9th at 8pm in the PACC Hall. As always, we are looking for new members to sign up and join in our festivities; the general meeting are also a great time to do that. Our Dart season is also in full effect, and home games will be on Tuesdays at 7:30pm and listed on the calender of events when you can watch the team play, cheer them on, and get a few drinks at the bar while doing so. Even if there isnt a home game the bar portion of the club will be open on Tuesdays at 8pm. Thank you for all of your support in 2014, and here’s to a happy and healthy 2015! As we attempt to reach each and every single person, please help share our deepest appreciation with anyone that we may have accidentally missed. For there was no gesture or words, big or small, that went unappreciated, even for a second……. There are no words that could ever do justice to how eternally appreciative and thankful we are for what you have all individually and collectively given to Peter, CheryI, Ryan, and the Lomuscio and Dudek families. Each and every one of you, through your kind and supportive words, gift baskets, food deliveries, text messages, extremely generous financial donations, hugs, emails, Facebook posts, the wearing of RYANSTRONG bracelets and t-shirts, the rallying together and organizing of events and prayers services, the sharing of encouraging stories…. we could go on for pages... Through these efforts and contributions, each and every one of you has played a role in saving Ryan’s life… and, therefore, saving our lives. That is a debt we will never be able to repay. All we can say is, from the very bottom of all of our hearts – THANK YOU. Thank you for loving Ryan without ever having met him. Thank you for letting us know each and every day that we are not alone. Five months ago, the world around us appeared to have completely crashed down. We felt powerless, seeing such an innocent and helpless little life dragged into such a horrible fight. Yes, Ryan was innocent. But he was not helpless. Since June 4, we have watched with great pride and admiration as our Little King fights this battle day in and day out, without any fear or self-pity. In some of the darkest hours, it was him giving us strength and support, letting us know, in his own special way, we should not be scared because it was going to be ok and that he will never give up. Your prayers made this all possible. We’ve all heard “it takes a village to raise a child.” It was clear from the first punch, that Ryan had an army in his corner. Thank you for standing at our sides, for holding our hands, for not giving up, and for making sure we never do, either. It’s amazing how something like this can change you in so many ways. Change the way you look at the world, at each other, at the way you think about things. One thing we continued to tell each other and would hear others saying was “be strong”, or “stay strong for Ryan” etc .. But how can you be strong when your heart has been ripped from your body and broken into a million pieces? And that’s how the impossible is done. That’s how un-climbable mountains get climbed. A three week old child taught us this. Today, Ryan is an energetic, bubbly and smiley little guy who is just shy of 6 months old. He loves upbeat music, bath time and has recently become super ticklish (his Mom seems to keep finding new spots). He weighs less than 20 lbs. He hasn’t said his first word yet. He can’t even crawl. But we believe he has taught us all more about Strength than anyone else we have ever met. Ryan Joseph Lomuscio was born on May 13, 2014. At 22 days old, an ultrasound revealed a very large (stage 4) tumor mass wrapped around his major organs and covering his liver. He was diagnosed with a form of childhood cancer called Neuroblastoma. He was admitted to Hackensack Hospital that morning, and within 2 days, his condition became life threatening. He underwent surgery and emergency chemotherapy on June 6th, and did not leave the hospital for another 3 ½ weeks. After those 3 ½ weeks, his care was transferred to Memorial Sloan Kettering in NYC, and it now appears that he may have a form of the disease where the tumor cells kill themselves off and dissipate (stage 4S). However, because of the nature of this terrible disease, the doctors cannot guarantee that this will happen; but it is their hope, as well as ours. He has been home with his parents for the past couple months, going for continuous ultrasounds, blood work, and evaluations. He is growing and developing as he should be, and the images and scans have shown the primary mass and spots on the liver decreasing, at a very slow but consistent rate. While things appear to be on the right track, we have also learned that there are certainly no guarantees in life. We still need to continue to PRAY, PRAY, PRAY, every single day, that Ryan’s cancer continues to get smaller and that he does not need to undergo any further treatments. As the doctors continue to tell us each and every visit—this is a marathon, and although we have already traveled some important miles in the right direction, we still have many more miles to go. This process will take many months, or even years, before we know for sure if the cancer will go away completely; but we believe with our whole hearts and souls that God is hearing each and every one of our prayers and that He will continue to help Ryan’s body fight. Five months ago, Ryan was literally put into a fight for his life. It was the most difficult thing we had ever been faced with, but we knew there was only one way to approach it – together, united. We did a lot of praying and a lot of crying, but always picked each other up when it was needed. You all made sure of it. We find tremendous strength in the continuous outpouring of prayers and overwhelming support from each and every one of you every day. Because of the chemo that Ryan has already received and the vaccinations that he has not been able to receive, he is still considered a higher risk for infection. So although we would like nothing more than to have him meet and thank every one of you personally, we do still need to limit his exposure. Our hope is that he continues to progress, and that he will one day be able to show you all his heart-melting smile and silly little giggle in person. We will continue to post pictures and updates on our little warrior, who we couldn't be more proud of or more in love with. On behalf of Cheryl, Peter, Ryan and the Lomuscio and Dudek families, thank you so SO very much, from the very bottom of all of our hearts , for everything you have done--for fighting with us, for loving us, and for standing by us this whole time. Ray Skorka and his Ablemen put on a great show this evening, having fun all the while. Ray may be retiring but he was as limber as ever as he pumped the squeezebox and danced around as the ablemen play their farewell show. 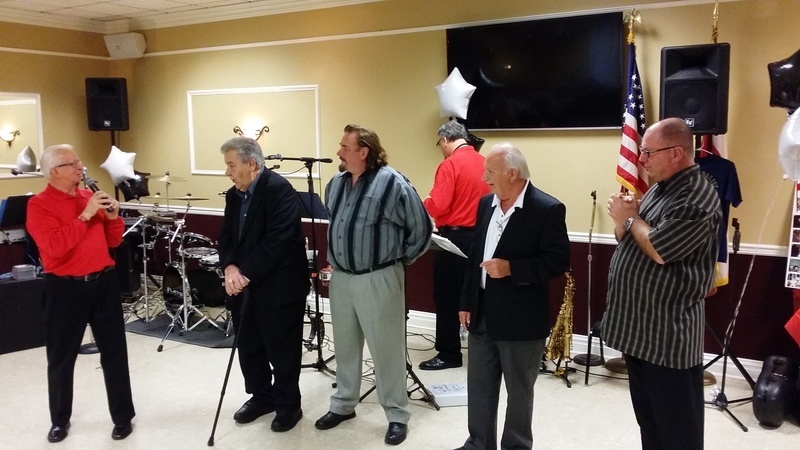 It was a touching send off as 4 Internet polka radio personalities, including Eddie Biegaj and Bill Shibilski, came up and congratulated Skorka on his 51 years of leading the Ablemen. After the speeches and congratulations the Ablemen played their "Ablemen Polka" and continued to play several medleys throughout the night (videos can be seen under the picture). As vice president of the Lyndhurst PACC, I would like to congratulate you Ray, and all the Ablemen, on such a stunning career in the Polka industry. Enjoy your retirement Ray, and may you always be Able! Dennis Poliski an the Maestro's Men put on another amazing set at the PACC today. This was the second time they played here; the first being our inaugural polka dance in the spring. 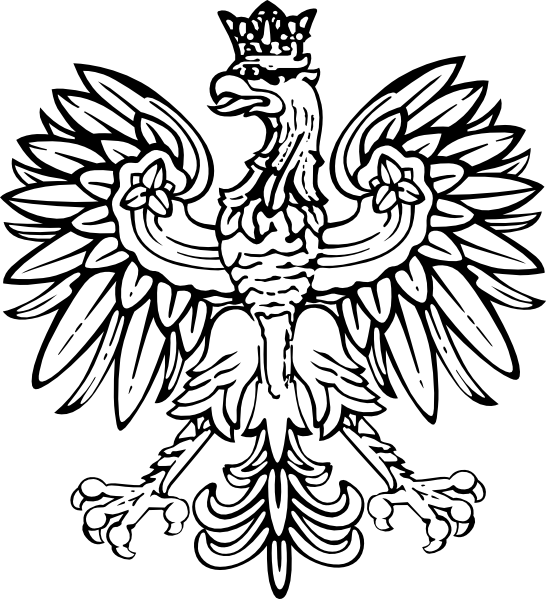 They played a great 4 hours of polka, then they lead the hall in the singing of the Polish National Anthem and God Bless America [video below] Both of the below videos also feature the Flawless vocals of 2014 Polka Hall of Fame Inductiee Eddie Biegaj. The Maestro's Men will be Making their way back to the PACC in March so keep your calendars open! The PACC Dart Team will be playing a home game tonight at the club. So come on by, have some beers, and root for the home team. 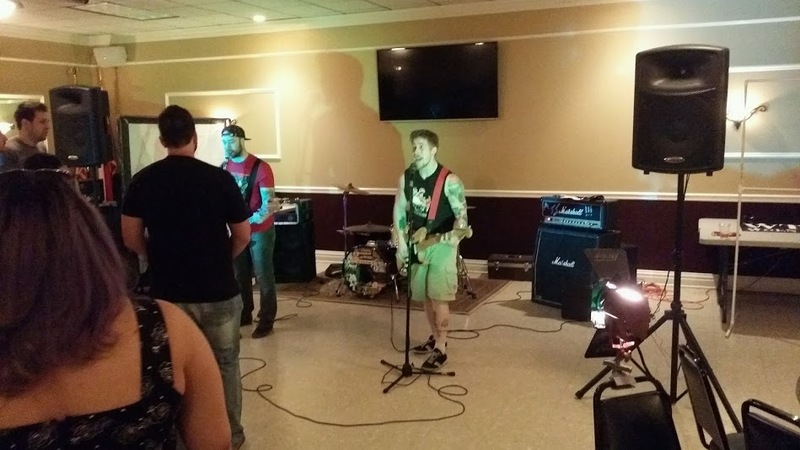 Tonight we are playing against Maggies Bar and Grill from Carlstadt. Doors will be open at 8pm and will be open until the match is over.